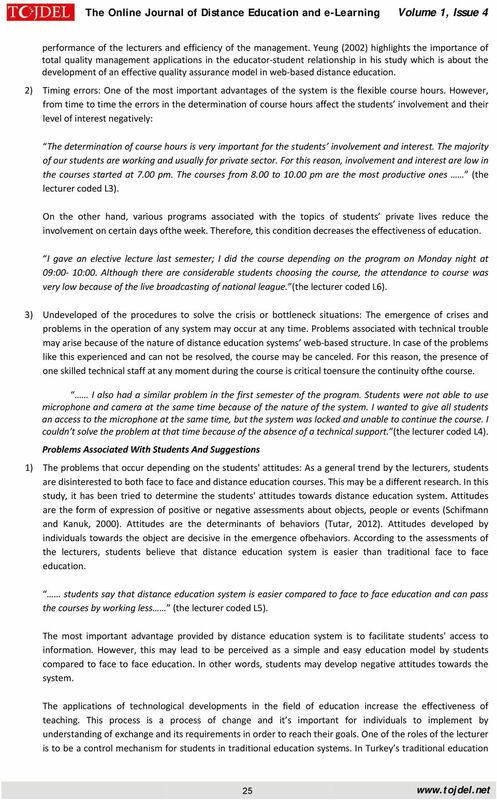 Download "Improving Distance Education System: Problems and Solutions from the Perspective of Lecturers Sima NART , Remzi ALTUNISIK "
Anadolu University (TR) Anadolu University- Empire State College, State University of New (SUNY- ESC) York e- MBA Program The website of the programme is located at http://emba.anadolu.edu.tr/index_eng.php. Interactions, Student Enthusiasm And Perceived Learning In An Online Teacher Education Degree. Instructional Strategies: What Do Online Students Prefer? Marketing oneself: what do small business owners look for when interviewing job candidates? 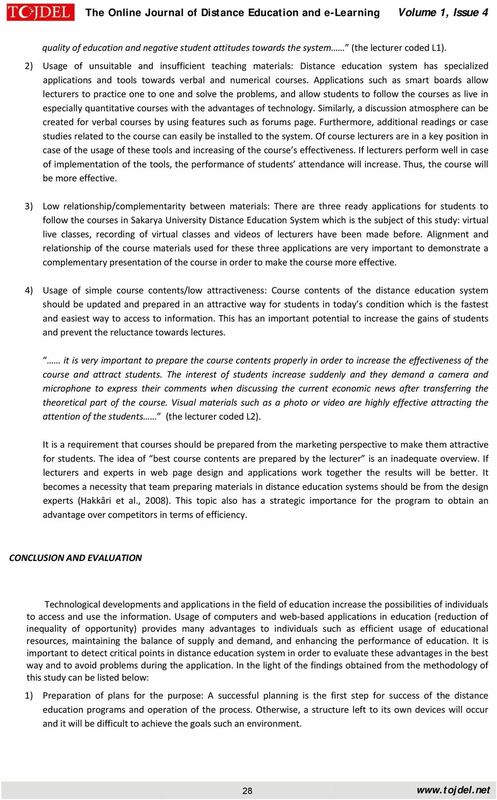 Distance Education Moves into the 21 st Century: A Comparison of Delivery Methods. 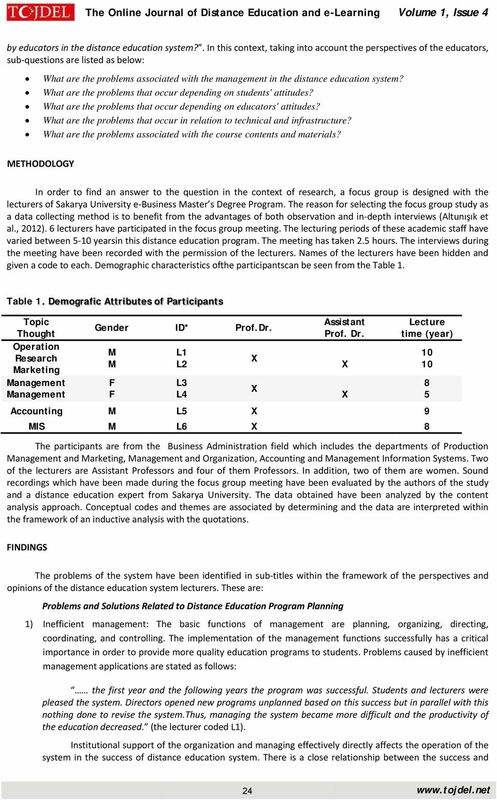 Anita L. Callahan, Paul E. Givens, Russell G.
Model for E-Learning in Higher Education of Agricultural Extension and Education in Iran Jafar Yaghoubi 1 and Iraj Malekmohammadi 2 1. Assistant Professor, Zanjan University, Iran, Jafar230@yahoo.com 2. 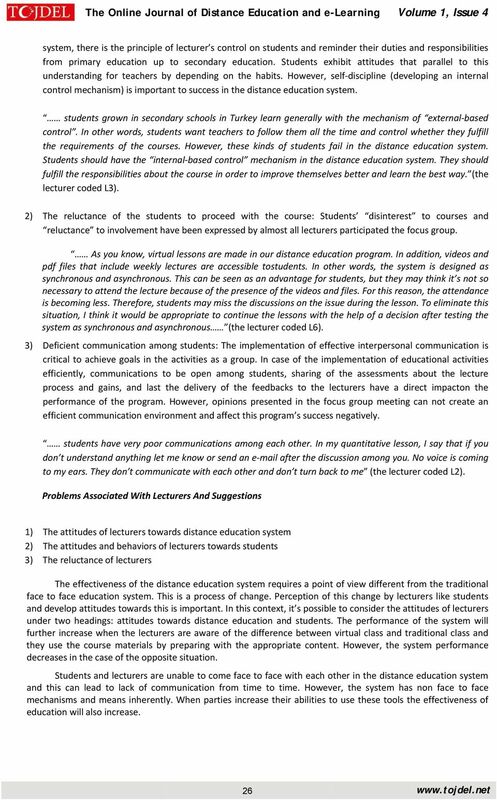 Trends and Issues in Higher Education: International Teaching Assistants in Higher Education in the U.S.A.